As the Calais jungle, in France, was two years ago, the ‘mega camp’ of Cox’s Bazar in Bangladesh is now a city. A city of 700,000 Rohingya refugees, a Muslim minority discriminated in Burma for decades. A “giant and temporary” city, with its wooden and bamboo shelters, where the literacy rate does not reach 25%. A city where people have no choice but to wait and hope. 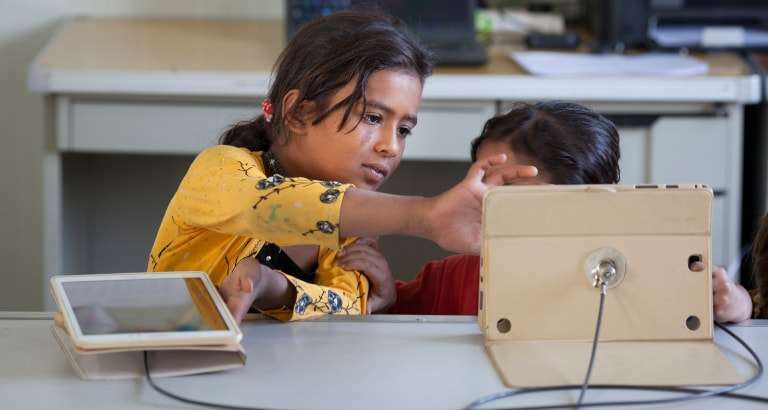 In the next weeks, Bibliothèques Sans Frontières will install KoomBook and five Ideas Box in the district of Cox’s Bazar : three in Rohingya refugee camps, two with surrounding host populations. Welcome to this discussion with Anna Soravito, humanitarian expert of Bibliothèques Sans frontières, who visited the site in March and June. In March, as part of the association’s first exploratory mission, with the support of Première Urgence Internationale and the Danish Refugee Council, Anna Soravito met key players in the field of education and protection in Bangladesh. From authorities to international NGOs, she also exchanged with Rohingya refugees. “The Rohingya are very much in demand towards the humanitarian actors, with whom they mostly talk about food and health. The exchanges I had with them were not about basic needs, but how to find information : How do you access information ? How do you find out about the situation in your country ? How are you connected with your loved ones ? But also on the meeting places in the camp : Where do you end up ? How do you communicate with each other ? 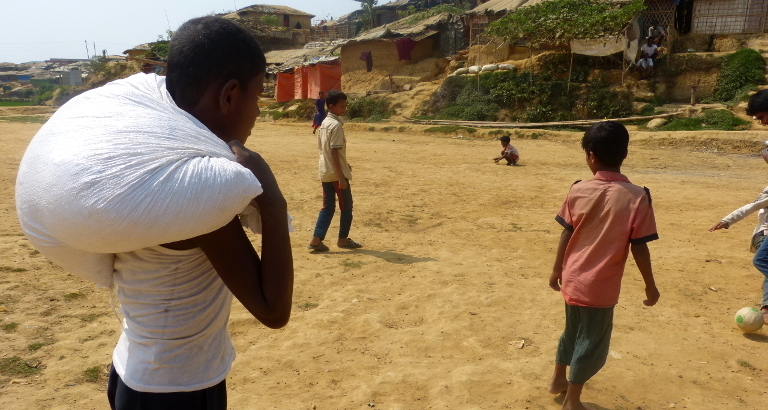 In the camp, Rohingya children have access to informal education facilities, a few hours a day, until they are 13 years old. More than half of them do not go there, however, for lack of space. Then nothing. At the end of the conversation, Anna asked them to imagine and draw their ideal community space in the camp, in small groups. “The drawings may be different, they all come together on the essentials : computers, kitchen areas, badminton courts and TV rooms ! Women have drawn a lot of flowers, inspired by traditional embroidery. Some of them did not stop drawing : I had to come back the next day because they did not want to drop their pencils. This activity created a strong emulation between people who did not know each other : they imagined together an ideal place, not thinking just about their desires but those of the community. 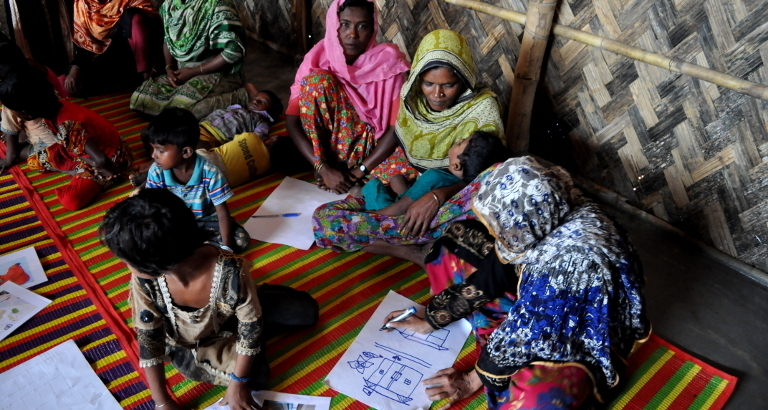 With the help of, among others, the Danish Refugee Council and the Open Society Foundation, five Ideas Box will be installed in Bangladesh next year : three in the ‘mega camp’ for Rohingya refugees and two others with the surrounding host populations. “The arrival of Rohingya populations in Bangladesh is nothing new. Before August 25, 2017, tens of thousands of refugees were already on the territory. The reception of the host populations was until then rather favorable. As culturally they are quite close : languages ​​are very similar. But the massive arrival of one million Rohingya has complicated the situation: Cox’s Bazar is one of the poorest areas of Bangladesh, the populations were already economically vulnerable. Then becoming more. If the reception was open, tensions have since grown. Hence the importance of working with both communities. Integration : a “forbidden word” according to Anna. Because if these people would want to integrate, the Bangladeshi government strongly opposes. “A positive future is hard to imagine. The Rohingya have no choice but to remain in Bangladesh, despite a speech by the Burmese government saying everything is better. 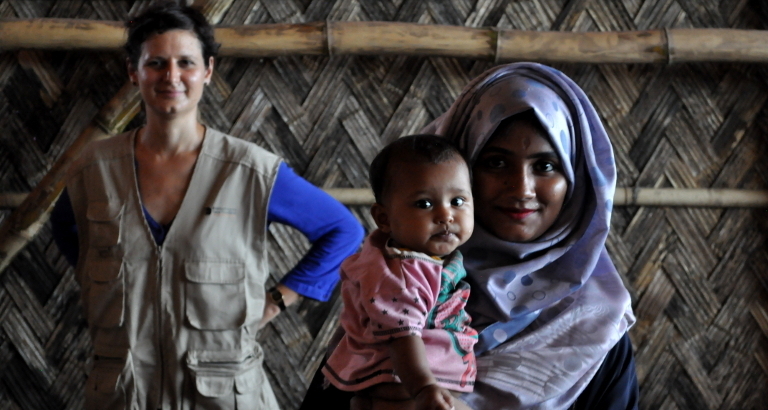 Of the 200 people who have returned since last year, half have returned to Bangladesh. Their villages were burned and razed. This crisis is eminently political and therefore complex. A project that aims to facilitate access to information for refugee populations is not necessarily well received by the government. Our challenge is then to find a neutrality, while meeting the needs: it is not obvious. 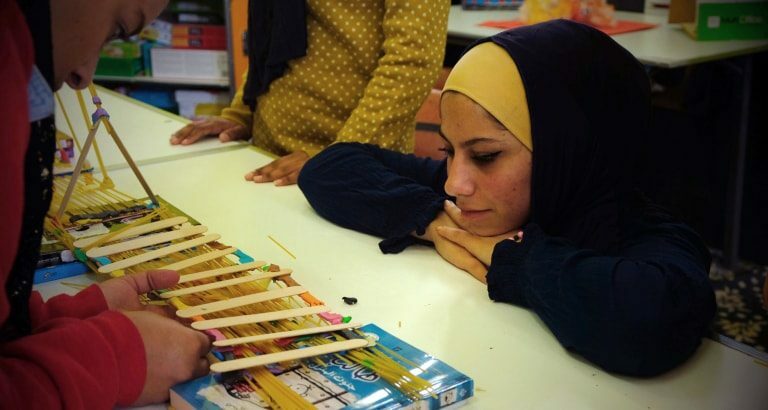 We will play with lots of sensibilities, cultural and community factors. What content can then be consulted and appropriated in the Ideas Box ? And how will they be selected ? “We talked a lot about their culture, their musical tastes, the movies they loved, the myths and their stories. Romain Berthier, with whom I were in July, also met publishers and librarians. For the refugees, the contents, obligatorily validated by the government, will be exclusively in Burmese, in Rohingya and in English, a neutral language which they very much want to learn. For them, English is a way out. Stuck between Burma and Bangladesh, they think it will allow them to open on the outside. Following the many conversations, we will make proposals : movies, board games, music and books without text – because most of them can not read. Then we will complete in a second time according to the returns of the two communities. Another challenge is to work with communities, hosts and refugees ! “The barriers will be numerous and symbolic. The Ideas Box can be an amazing tool in such a context where little things exists. But it can also be scary, especially to conservative religious communities. This is why we will be traveling with KoomBook in the camp, especially to approach teenage girls who will hardly have access to community spaces. To read the report of the evaluation mission of Anna Soravito, it’s here !